North Dakota trucking compliance includes meeting Department of Transportation (DOT) and Federal Motor Carrier Safety Administration (FMCSA) regulations. Both small and large trucking companies often have trouble meeting the local laws and regulations efficiently. Instead of bearing the burden yourself, US Compliance Services provides trucking compliance consultation services in North Dakota to help you file all paperwork and ensure every driver is qualified. We offer a variety of services to make sure you meet every law while maximizing your productivity and avoiding costly fines. US Compliance Services handles everything from FMCSA filing to helping you with your IFTA application. We also provide ongoing monitoring and management, so you can worry about building your business instead of staying compliant. Compliance standards change regularly, making it difficult to keep up with filing new paperwork and ensuring your fleet meets every requirement. As a trucking company owner or supervisor, you need North Dakota trucking compliance assistance to onboard new hires effectively and meet the necessary standards. Then, you can focus on building your company, running the fleet efficiently and hiring talented new drivers. 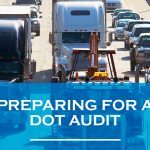 DOT Consulting Services: The DOT mandates certain standards, starting with a detailed application and registration process. US Compliance Services can help you correctly fill out your DOT application and display your DOT numbers on every truck. North Dakota trucking compliance also includes a DOT safety audit. Whether you need to respond to a demand letter, get your records together or get audit assistance beforehand, we can help. FMCSA Services: The Federal Motor Carrier Safety Administration requires specific documentation to stay compliant. US Compliance Services can help you file these documents correctly, including the MCS-90 form. Our North Dakota trucking compliance assistance services include reminding you of biennial updates to these forms, so you can expand your business without worrying about FMCSA compliance. DOT Driver Qualification Management: Every North Dakota trucking company needs to stay aware of the DOT’s strict guidelines regarding drivers. 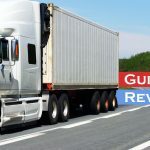 Your drivers must meet certain qualifications, and you need to keep detailed records of their employment, including work histories, medical exams, physicals and road tests. Our North Dakota trucking compliance services help you manage and monitor this process through our services and Driver Qualification File. Download it today to learn more about how to stay compliant. IFTA Assistance: IFTA, the International Fuel Tax Agreement, is an agreement between 48 states that requires the states to submit fuel taxes by motor carriers. Companies that meet certain stipulations must pay quarterly taxes based on fuel records. US Compliance Services can help you prepare for IFTA filings and get every single file organized before a potential tax audit. ELD and ELOG Compliance: New technology means new ways of keeping track of your drivers’ time and efficiency. Electronic Logging Devices (ELDs) or ELOGs are a great way to become more efficient and transparent with your clients and drivers. However, it creates additional compliance mandates when it comes to registering new devices, getting the right permits and cross-checking your records. Our trucking compliance consultation services in North Dakota help you use ELOGs to your advantage while staying compliant. If you’re on the fence about hiring a company for trucking compliance assistance in North Dakota, we can help trucking companies in any stage. Starting a new business is tough, especially when you need to set aside time to adhere to DOT and FMCSA regulations and other local laws. Even established companies might experience inhibited growth if you must always stay up-to-date with compliance papers and registration forms instead of onboarding new drivers and integrating new industry trends. Maximized Time: How long do you spend meeting compliance guidelines when you could use that time to grow the company? US Compliance Services takes the time, resources and labor you spend on DOT and FMCSA requirements and gives it back to you, so you can manage your fleet more effectively. Improved Accuracy: Our job is to keep your records as accurate as possible in case of an audit. We fill out, file and renew your DOT forms with complete precision to prevent any errors from negatively impacting your company. Not only does this help your bottom line, but it can save you money on filing expenses down the road. More Transparency: Every company can benefit from increased transparency with clients, employees and more. When you know your trucking company is following all DOT and FMCSA requirements, you will feel greater peace of mind in sharing pieces of your company’s forms and logs. Your customers and employees will appreciate the more honest process. Instead of spending considerable time and money on North Dakota trucking compliance, contact US Compliance Services to handle all your needs. We are experts in trucking industry compliance, and we can help you keep up with all regulations and local laws. You’ll never have to worry about another safety audit or filing your DOT paperwork correctly. We can give you the peace of mind you so desperately crave when it comes to North Dakota trucking compliance. Start on a new journey today with US Compliance Services. Whether your business is new or has existed for decades, we can help you stay compliant. Call us today to learn more about our North Dakota trucking compliance assistance services or contact us online for a free consultation.